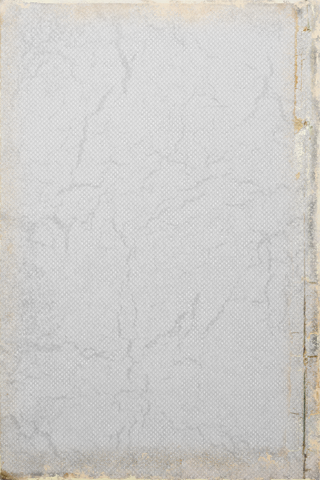 Exported settings can be shared with other Pulp-O-Mizer operators. You can also use exports to move your saved covers from one device to another. Different browsers render text differently, so there may be variations when your data is imported by another device. Paste your export data into the box below. Incorrect or incomplete data will cause unpredictable results. Explosions are exciting, but infrequent. Presets are examples that show how you can use the Text Area settings to create type effects. The rectangular cover images are a great choice for your blog posts, discussion boards, Twitter, and pretty much anything else... except for Facebook. For Facebook you should select one of the Square options (a square on a white background, or a square on black). Facebook does cruel and unusual things to the rectangular images, but the square cover images have been raised in hardened circumstances and trained to withstand torture. So they'll be all right. Internet Explorer users and some Mobile Device users may have problems when trying to save images. 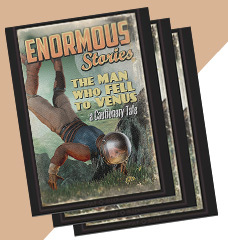 Find out how to fix that in the Pulp-O-Mizer User's Guide. T-Shirts orders are fulfilled by Spreadshirt. They use their own shopping cart, so orders for shirts can't be combined with orders for the other products. They'll be billed and shipped only with other T-shirts. 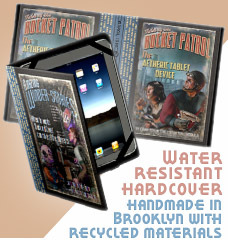 More products: Postcards, Spiral Bound Notebooks, and 4x6" Flex Magnets. 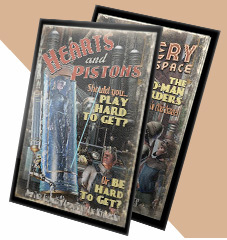 Cards, Postcards and Flyers can be customized with your own messages and images on the inside (for cards) or on the back (for flyers and postcards). 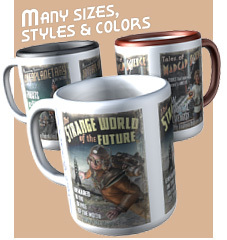 Just click through to the product page and select "Customize It". Internet Explorer users and some Mobile Device users may have problems when creating products. 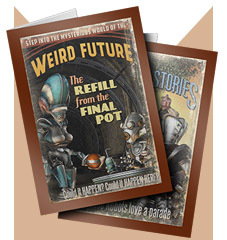 Find out how to fix that in the Pulp-O-Mizer User's Guide. 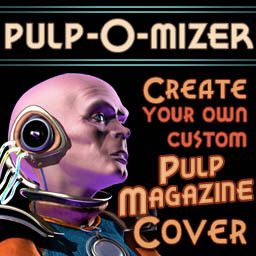 When you purchase your custom pulp magazine cover on a printed product, the reliable Pulp-O-Mizer cranks it up to high gear and - after a few seconds of groaning and sputtering - it spits out a high resolution image at (or even over) 300 pixels to the inch. The image is immediately transmitted across the sub aetheric waves, and, well! That's when things really get interesting. 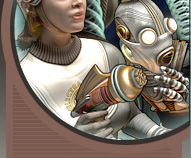 We entrust your orders to well trained, electrically motivated henchmen and henchwomen. When your order arrives at our hidden facility these henchpersons burst into action: the presses fly, the hamster wheels spin, the Interociter... well... we think it interocirates, sort of, and when all's done a high quality Pulp-O-Mized product flies out of its mysterious mechanism and is swept up, before it can escape, by the unflinching claws of our own patented Ship-O-Matic. But even now, the adventure has barely begun! 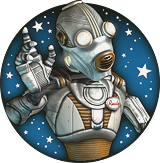 Experienced, heroic* professionals who are all too familiar with the perils and pitfalls of deliveries stand ready to take your new Pulp-O-Mized product from our laboratory directly to your home address, in almost every nation on the Earth. 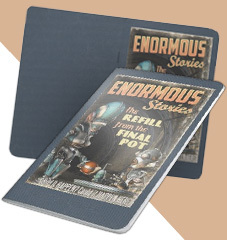 So by entrusting us with your order for a custom Pulp-O-Mized product you are setting into motion a complex and sometimes deadly chain of events that is made possibly only by the experience, training, and dedication of an entire crowd of professionals. * Heroism is assumed, but not guaranteed. ** Except for Mrs. Cake.